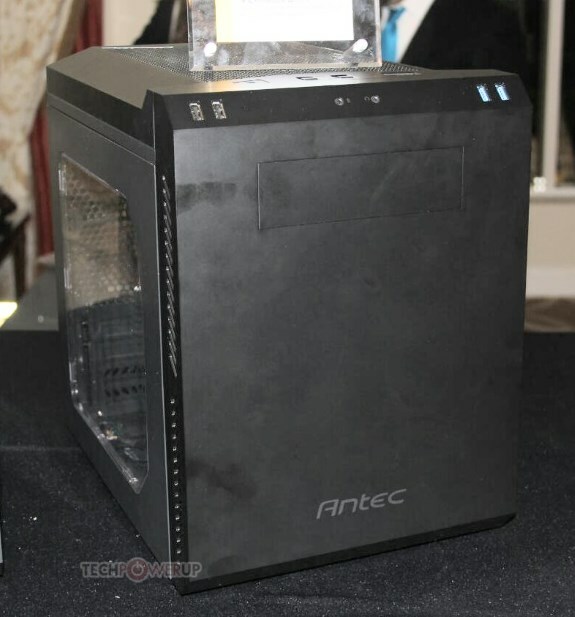 TPU got to see the Antec P50 case at CES 2015. 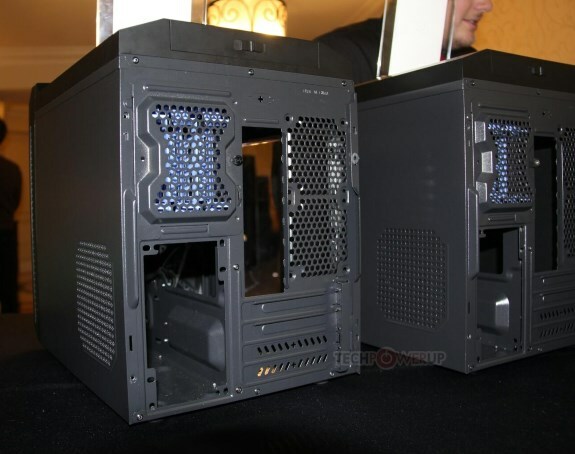 This Micro-ATX case resembles the Corsair Carbide Air 240 as it has a similar vertical partition. The left side of the case holds the motherboard tray, whereas the right side holds the PSU bay and the drive bays. There's room for up to eight fans, including a 200mm top spinner (can be swapped out for a 240mm radiator), two 80mm rear exhausts, a 140mm intake, and two ventilated drive bay stacks. Its front is decked with a brushed faux-aluminium panel, with a single 5.25-inch drive bay that's along the plane of the base, rather than vertical. Front panel connectivity includes six USB 2.0/1.1 ports, and two USB 3.0 ones, apart from 3.5 mm HDA jacks. The top vent tucks in a large 200 mm spinner, which swaps out for room for a 240 x 120 mm radiator. The left-side compartment holds the motherboard tray, with no obstacles for graphics cards as long as 300 mm, and CPU coolers as tall as 160 mm. This compartment has two 80 mm rear exhausts. The right-side compartments holds the PSU bay with a 140 mm intake, and two ventilated drive bay stacks, with three 3.5-inch, and two 2.5-inch drive bays, in all. In all, the case has room for eight fans. All panels feature high-density polycarbonate, which works to reduce noise.